Hello, Gorgeous! : Hello, Warmer Days! Really love the color of that pleated skirt....also love the printed pencil skirt. Gorgeous as always pretty lady! You must have sent your chilly weather this way! haha! Yesterday was COLD! It's supposed to warm back up today tho, fingers crossed! 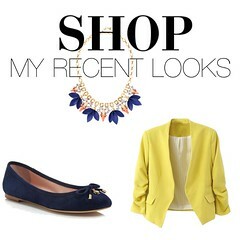 Love the cobalt blue outfit with the blazer! So cute! I really like the bow bracelet you wore in the first outfit too! The wine colored skirt is fantastic. Super cute and super dressy at the same time. Love how you went with a pale pink, so feminine. This definitely helps me believe that wine colored clothing is wearable! your blue bow pumps are to die for!! YAY for warmer weather - aka skirts with no tights!! I'm loving all of your bright colors!